Daruma is a doll from which Bodhidharma was made as a model. 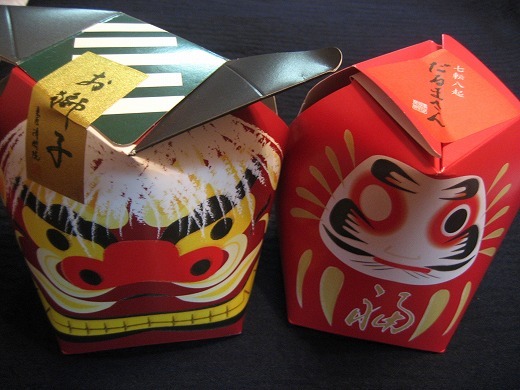 The eyes of Daruma are usually blank when sold as a means to keep track of goals or big tasks and motivate them to work to the finish, and paint the another eye when the wish is suitable. 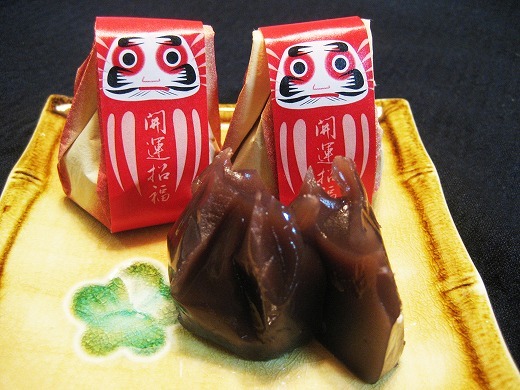 Mame Kinton “Sweetened Small Red Bean” wrapped by Daruma paper. Shishi is translated as “lion” but it can also refer to a deer or dog with magical properties and the power to repel evil spirits. 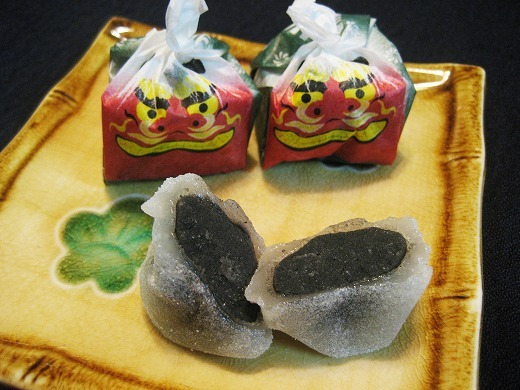 Omochi “Soft Rice Cake” contains black sesame bean paste wrapped by Shishi paper.